Real Auto Tips. 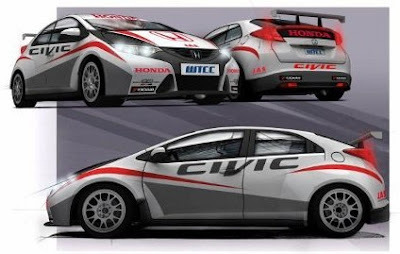 - To begin our posting, we will report to you about new Honda Civic car that plan to sold in 2015. This new Honda Civic car is Honda Civic R that using turbocharge machine. Honda Civic R displayed with elegant performance and aspect will be sold in 2015. According CEO of Honda Mr. Takanobu Itu make sure with said that Honda Civic type R still produced and will be sold in 2015. For user and lovers of Honda Civic, with enjoy Honda Civic R, they will enjoy this car with high power because Honda Civic R using 300 power horse. According Managing Director of England Honda Mr. Dave Hodgetts that reported from Detikoto, he said that firstly Honda Civic Type R was initially has the power to 265 horsepower (198 kW), and will have more power up to 300 horsepower. Power of 300 horsepower is generated this time came thanks to a turbocharged engine with capacities 1.6-or 2.0-liter. And did not rule out the machine with high strength will also become latest selection. The plan New Honda Civic Type R will do the testing that began this fall at the Nürburgring, where Honda wants to break the record for the Renault Megane RS Trophy two years ago with a time of 8 minutes and 7.97 seconds. And the last that the development of new models is done specifically on the European market and is rumored to be ready to take action at the prestigious World Touring Car Championship. So for you user and also lovers of Honda Civic, you must be patient to wait and enjoy the new type of Honda Civic R that using Turbocharge machine with 300 power horse. Keep in mind, Prelude is a sport model. It has more likely-hood of being driven by a younger person hard compare to Accords which is a family sedan. Prelude also has the 4 wheel steering mechanism where rear tires actually steer just a little. The suspension system is more complex should you need to service it.